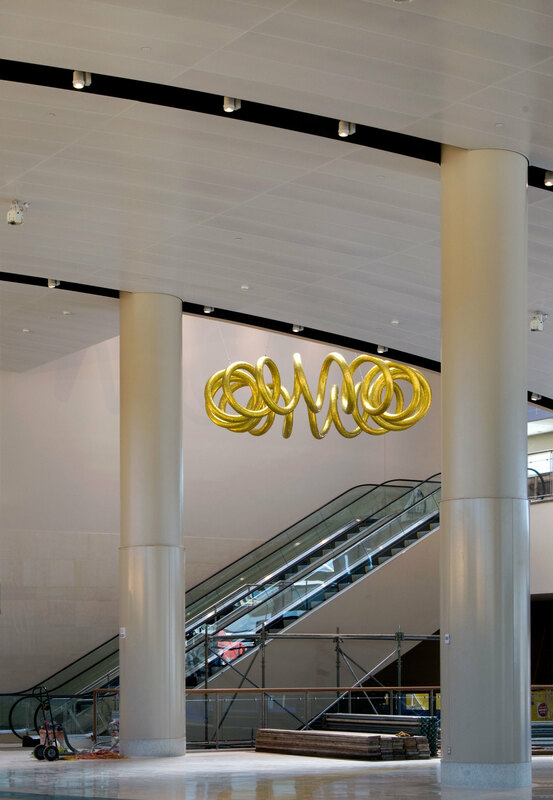 Visitors ascending the escalators at the east end of the airport's Terminal B will encounter a shimmering glass sculpture, Lumen, suspended overhead. 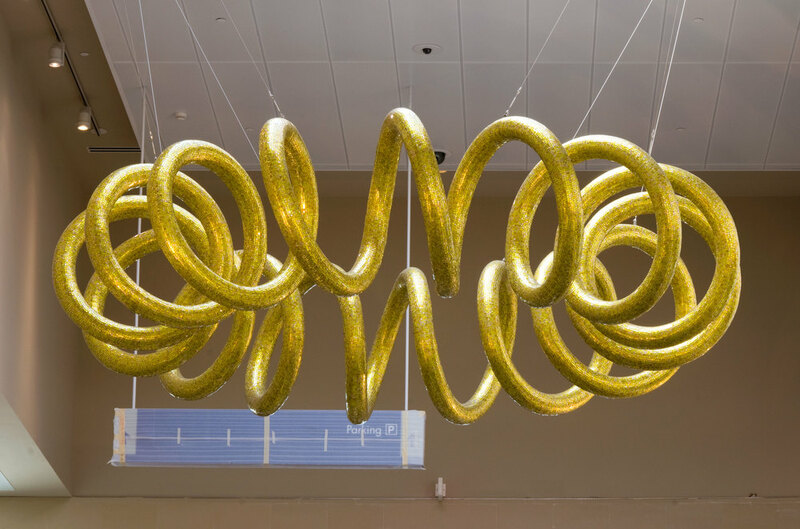 The sculpture is a large, sun-like circular coil that is 16 feet in diameter and comprised of a series of spiraling loops. It is covered with thousands of small, hand-cut pieces of yellow/gold glass, each one backed with metal leaf to reflect the light. The complex curves "catch" the light from the skylight above, creating a beacon of shimmering yellow/gold that welcomes people to the San Antonio area with it's beautiful natural light and sun.